With Greece’s Hellen, seated now on high! Lovely leaving do last night for Karen Stratford, the museum’s Education Officer for the past 4½ years. Many volunteers and trustees came to say goodbye to Karen and wish her all the best. The museum’s new Education Officer is Jean Westbrook! Did you know that following a disastrous flood in 1451, which destroyed a large part of the town including the corn mill, the Corporation petitioned the King for permission to change the course of the River Dane? 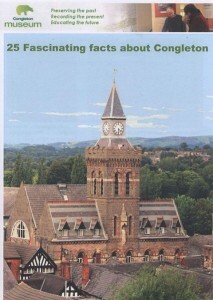 Find out ’25 Fascinating Facts About Congleton’ in a new booklet on sale at the museum for 60p! Hi, my name is Becksy. I am a student at Sandbach High School and I have been volunteering at Congleton Museum for just under a month. 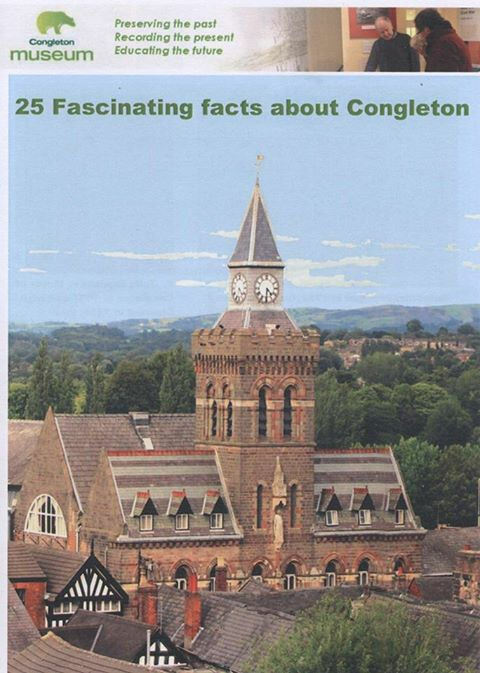 With my love of history, it has been very interesting to learn in depth about local history and particularly the history of Congleton … something which isn’t taught in schools! 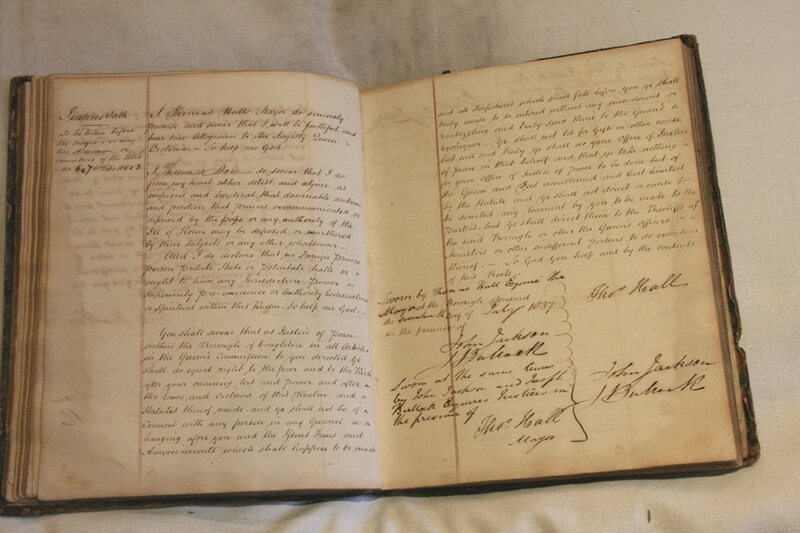 Whilst at the museum, I have been working with Ian (museum chair), looking at a book of Town Oaths which date back to 1841 (see image below). 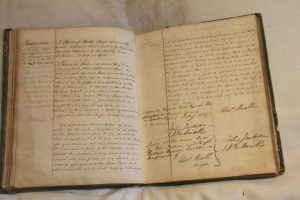 My project involves transcribing the original Oath documents into a computer to ensure that the documents are more accessible to volunteers and visitors alike. At first it was quite difficult trying to understand both the traditional language and handwriting, but after a few pages, the words began to become familiar. 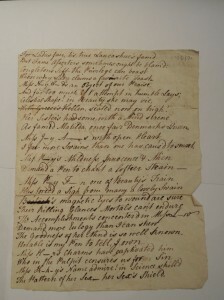 It has been great to have the opportunity to handle and gain some experience of using primary sources. My first month at the museum has been great! Excuse the cliché – but here you really do learn something every visit!